Labour’s rent proposal; too little, too late? Landlords can terminate the tenancy if tenants fall into arrears, are guilty of ASB, breach the tenancy agreement, or if the landlord wants to sell the property, refurbish the property, or use it for their own or family use. These are of course all welcome signs from the Party that is leading current polls. And any legislation that would cut fees, cap increases, and increase stability and security are to be supported against our current abysmal system. But the question arises will these initiatives go far enough to really protect renters? 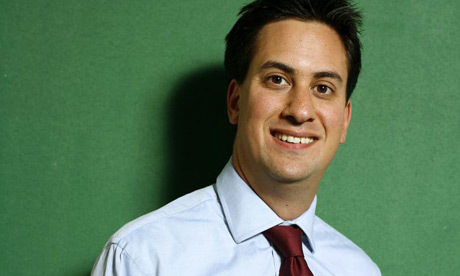 Estate agents and landlords have far more resources to understand the law for their own purposes than tenants, and there are some gaps in Mr Miliband’s announcement that should make private renters worried. If estate agents are banned from charging tenants for tenancy agreements, will they be equally banned from charging for financial background checks, inventory checks, holding deposits? A ban on one with an increase in the others will not have an impact our on wallets. If tenancies are three years long, will the entrance requirements for a tenancy get worse? Will landlords accept people on contracts, on low wages, on housing benefit, who are disabled or require care, who are self-employed? Discrimination is already rampant in the PRS, if landlords don’t believe they can easily get rid of tenants will their demands for the ideal tenant intensify? If rent increases are limited within a three year tenancy, will landlords simply make a bigger hike between tenancies? For those who want to stay for six, nine or more years, will this actually improve their financial situation, or just delay the inevitable? And finally, and most importantly, why are rent increases still linked to market value? This will be a great move for those outside of Greater London, but for those of us within the M25 market value is linked to the ever increasing demand for London property as an asset for the international and domestic rich. There are no signs that the market value acceleration of London properties will slow down – in fact it was one of the few pockets of capital that was relatively unscathed by the 2008 financial crash. Rent increases linked the market value will not make London homes any more affordable, any more fair, or any less of a drain on Londoners’ already tight finances. We need more for private rented homes to be affordable and for realistic rents based on incomes rather than what the rich are willing to pour into property development in the capital. We should of course support the intentions of Labour to improve the situation of private renters (especially in contrast with the response of raging scare against Reds/ Socialists/ Marxists/ Stalinists/ Venezuelans from the Conservatives). But we should not accept that this is the perfect situation being handed to us by a Labour party that had 12 years to do something about the housing situation and fundamentally failed. This is not a situation that arose in the last four years, it has been a decades long problem for private renters and Labour are as culpable as the Conservatives and Liberal Democrats in its deterioration. This is a positive first step towards improving the private rented sector, but there is a long journey to be had towards a fair and equitable system for renters. Tags: General election, Housing policy, rent controls. Bookmark the permalink. Previous post ← Put your questions to election candidates! HackneyDigs is skeptical when they hear there are landlords who don’t increase rents. Labour’s proposals mean that I have to bring the rents for my existing tenants up to ‘market levels’ otherwise,in one case my rent will be stuck at 2006 levels. (Many landlords only charge market rent when the property is up for re-let). Landlords in Hackney may be different to those operating in less fashionable areas. Labour’s proposals are a victory for Middle Class tenants who want to live in Camden and Brighton, but it harms existing poorer tenants is less fashionable areas. As a study in human nature. My tenant is paying the same rent as when they moved in 2006. That is no rent increase in 8 years. It does not mean the tenants are grateful or appreciative. They don’t respect the property. In the 8 years they have lived there, they have never cleaned the windows. I can’t remember the last time they opened drew curtains. They kitchen is filty, greasy and never cleaned. They were given a newly refurbished property. Nor does it mean that tenants speak to the landlord politely, courteous and respectfully. The proposals will not force landlords to increase their rents to market values. The current situation of no control on rent increases, the ability for landlords and letting agencies to refuse people on disability or housing benefit to rent their property, and short-term tenancies are the problem for poorer tenants. But the article has covered the problems that may occur as well for poorer tenants, including longer tenancies meaning higher rents at the start. It does not matter whether your tenants clean the house’s windows or kitchen when they’re living there, as long as they return it to the landlord clean what does it matter? And if there is damage or substantial discolouring, the point of the deposit is to cover cleaning and repairs. Someone renting a property is allowed to live in it, they don’t have to treat it like a show house that has to be perfectly clean at all times. And while I would support everyone being polite and courteous to everyone, we have experienced far more landlords being rude, offensive, discrimnatory and assaulting towards tenants than the other way round. And there is no way of stopping that. They will not force to me to increase rents, but I don’t want to be in a position, if the property become empty in 2015, I cannot increase the rent by inflation, but based on the last rent of 2006. (this is how the old regulated rents worked). Some landlords specialised on tenant with housing benefit. The problem started in 2008, when Labour introduced the LHA system, where the tenant would get the rent directly into their bank account rather then into the letting agencies. The tenants cannot manage their finances or are tempted to spent their money on other things. When the landlord sends the notice to quit the property, the tenant is told by the council not to leave the property, until the landlord goes to the court. Even when the court grants possession, you can’t get the property, until you spend more money on court bailiffs, which takes another two months of waiting. It is only then the council will re-house the tenant (although they are not supposed to re-house them, because they have made themselves intentional homeless). So on top of not receiving the rent, you have to pay court cost. I am not sure how you can say not cleaning windows in 8 years is acceptable? It lets the neighbourhood down. May be you miss the point. They have never cleaned the oven. I had to replace it prematurely, because it was covered in grease. They never cleaned the hob. They never use the chimney hood (even though I gave them a walk-thru when they moved in and reminded them several time). There is grease is on the kitchen cabinets, which will never clean off. Would you want to be the next tenant? You need to stop looking through your middle class eyes. The tenants who are awful generally, stop paying the rent, well before moving out. So there is no deposit at the end of the tenancy. There are stiff penalties for landlord who don’t protect the deposit, but it does not protect landlord where there is no deposit at the end of the tenancy. It is a common scam. There is no incentive to look after the property or leave it in a clean state. It puts the property in a downward cycle… I only wish they have a though for the next tenants… . Reblogged this on The Rent Book.